Mr. O’Meara brings with him almost 20 years’ experience in international trade and trade compliance management. 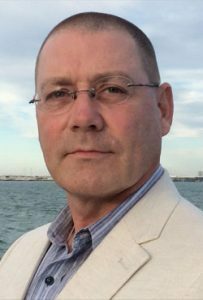 Based in the Chicago area, his focus is on the development of compliance programs and training tailored for the corporate environment in the areas of import compliance/export controls, freight terms, transfer pricing, classification (under ECCN, USML and HTS), service provider management, strategic use of terms and conditions in international commerce, and US supply-chain security programs, such as the Customs-Trade Partnership against Terrorism (C-TPAT) and the Importer Security Filing (ISF). He has extensive experience in assisting US importers to achieve and maintain C-TPAT status and has managed US Customs and Border Protection C-TPAT validations in the North America, Europe and Asia. He is also well-versed in US export and defense controls and has many years’ experience in implementing these compliance requirements in the multinational corporate environment.